We’ve all heard—or rather, read on a blue-lit screen—that smartphones are wrecking our health. And indeed, they’re packed with moreish social media and immersive games that can keep us fixed to the couch for hours—and then deliver calorie-packed takeaways right to our laps with the swipe of a few screens. 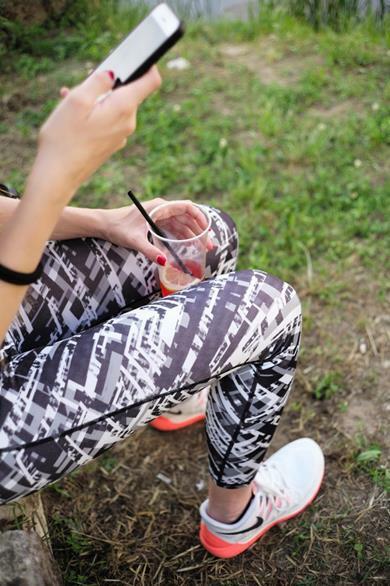 But once you finally crash out of Candy Crush and wipe the pasanda off your screen, you’ll find an app store filled with programmes that can help you undo all the damage of those sedentary hours and Uber Eats deliveries, from yoga tutorials to fitness trackers. With these apps, an iPhone can be a personal trainer, nutritionist, and jogging body—or at least the alarm that reminds you to get out of bed and on your bike. The famous Couch to 5K programme does just that: transforming you from a couch potato into a seasoned sprinter in a matter of weeks. 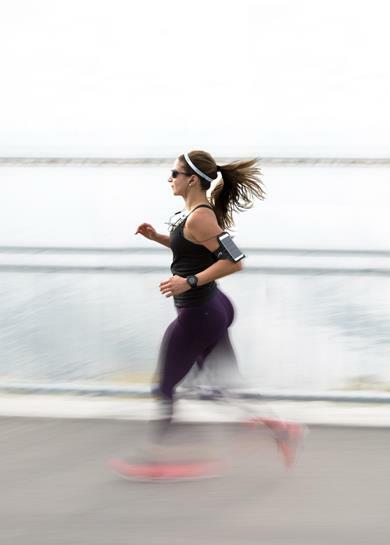 The scheme eases you into jogging—and the smug wearing of charity 5K t-shirts—with walking and running intervals that notch up in difficulty over nine weeks. You could use a timer and pen and paper, but the app makes it easy to follow the regime, delivering audio instructions as you jog and reminders during the week and tracking your progress as you run off those couch carbs. Now that you can run kilometers, you might want to track those journeys and compete with your friends and neighbors. Strava times, logs, and maps your fitness ventures, whether they’re done by foot, bicycle, or breaststroke, and compares your splits to those of your past self, and other Strava users in the area. The competition is all in good fun, though: as you jockey to the front of the virtual pack in your local park path, fellow users can cheer you on digitally, with comments and kudos. Remember what you ate for dinner last Tuesday? MyFitnessPal does, and it knows how that carbonara fits into your goal to shed pounds—or maintain or tone up. Calorie counting can be a headache. MyFitnessPal makes it easy, with a database of more than six million foods and their nutritional value to slot into your menu. Scan the barcodes of food packaging, import recipes, and find items from the menus of your favorite restaurant for quick and accurate meal-tracking and planning. Want to get fit but find yourself lacking time for a trip to the gym or a full 40-minute exercise video? Sworkit allows you to squeeze in workouts wherever you find a spare five minutes, or 17—whether it’s between episodes of a Netflix binge or after the kids have gone to bed. Just enter the number of minutes you have and the type of routine you want—selecting from among strength, cardio, yoga, or stretching—and the app will produce a precision-timed video workout, developed and approved by sports scientists. There’s a vast selection of body weight exercises, meaning you don’t have to carry around the kit and can get to stretching and jumping jacks anywhere—even while waiting for the train. Just stay back from the platform edge. Like the deep breathing and stretching of yoga but wary of the cost, time commitment, and perfect, Lululemon-garbed yogis in the front row of your local studio? YogaStudio is a yoga class in your pocket, packed with more than 100 HD video yoga and meditation classes. 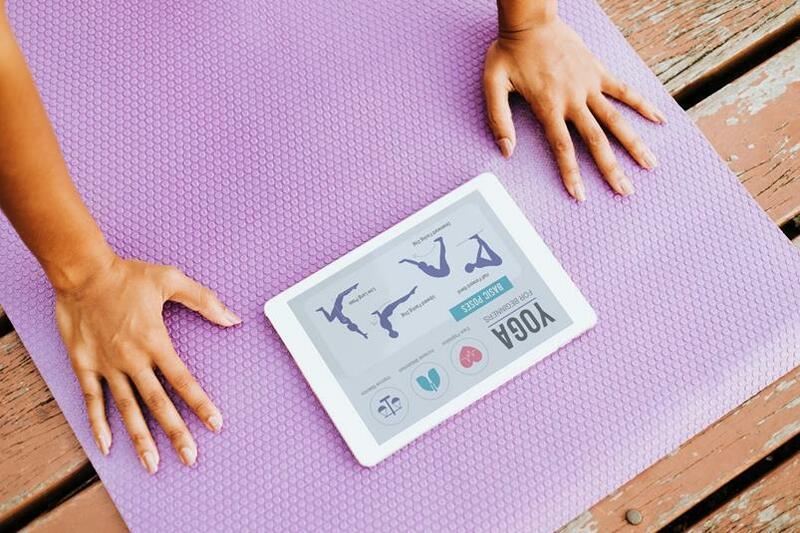 With an option to download courses, you don’t even need data to get into a downward-facing dog—just space to spread your mat. Child’s pose newbie? The app comes with an encyclopedia of poses, with visual guides and detailed instructions. And as you gain your balance, you can start assembling your own classes, and then scheduling them through the week, syncing YogaStudio with your iCalendar. You’ll be doing headstands on the living room floor in no time. Looking to get ripped, or just to be able to lug your groceries home without cramping arms? Fitbod uses artificial intelligence to deliver personalized workouts so you can pump iron the most effective for your body, goal, recovery level, and available equipment. Then, like a personal pocket trainer, Fitbod guides you through the barbells and benches, telling you how much weight and how many reps to help you meet your body-shaping targets. If you’re a podcast maniac, doing everything with AirPods firmly in your ears, and the video guides on Sworkit and YogaStudio have you squinting and scrambling to cash in your old iPhone for a more generously-sized iPhone X via a phone recycler like SellMyPhone.co.uk, you might want to opt for an audio-guided workout. Aaptiv offers a constantly refreshing library of audio-based workouts, for activities including cycling, running, yoga, strength training, and elliptical. Workouts range from just seven minutes—to squeeze in between the school run and you commute—to complete training programmes to take you from slouch to svelte, and come with playlists of music to get your heart pumping. A personal trainer and nutritionist rolled into one slick app, 8Fit creates customizable exercise and meal plans, based on your current stats, and goals, and—with a sensitively other apps don’t boast—your preferences, however finicky, whether you love the elliptical or hate quinoa. The app will quiz you about how many weekly workouts you can handle, how many meals and snacks you want a day, and how you prep your meals, and then generate a bespoke, all-inclusive fitness plan for you, featuring at-home high-intensity workouts and nutritionist-crafted recipes. Health and fitness aren’t just about high-impact cardio and leafy greens. You need to train and nourish your mind as much as your body. Meditation has been demonstrated to help people manage stress, hone focus, and sleep better. Sleeping well won’t just make you feel more alert, and less grouchy, in the morning; it’s vital for maintaining your health over a lifetime. Poor or insufficient sleep has been associated with increased risk of weight gain, diabetes, heart disease, depression, and cancer. Place your phone on your mattress (and resist the urge to look at its screen: digital blue lights have been shown to delay the release of sleep-inducing melatonin) and the SleepCycle app will track your sleeping and wakeful periods throughout the night. It Analyses your sleep over weeks and sees what practices promote getting that precious eight hours—and plenty of REM sleep. And SleepCycle doesn’t just see you when you’re sleeping and know when you’re awake. It uses this information to rouse you gently in the morning, yelling its alarm during your lightest sleeping phase, so you wake feeling less groggy and more well-rested. Credit: The post on “10 Best Health and Fitness iPhone Apps for a Healthy Lifestyle” is crafted by Paul Simmons of sellmyphone.co.uk, a UK-based comparison website that helps many people sell or recycle their mobile phones online.